What if your child is the girly girl type? What is the best birthday theme for her? No need to dig for answers because Jollibee has a birthday theme that suits the daughter’s party preference. Jollibee party package has the Barbie theme. 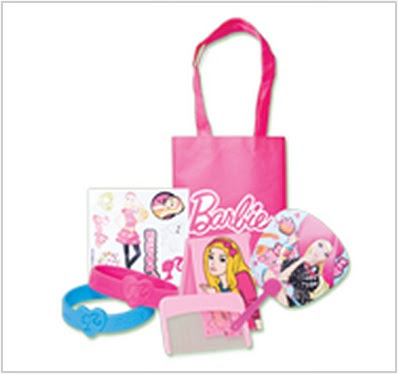 Color the party pink as your daughter celebrates her birthday with Barbie and, of course, with Jollibee and friends. 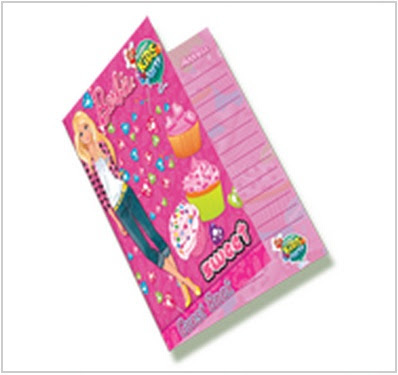 Your daughter will not be disappointed with her birthday party because she will see Barbie in all of the party items. Just like in the other party themes of Jollibee party package, the available party items are invitation cards, tray liners, party hats, guest book and loot bags. The only thing missing in this party item is for Barbie to come over and join the party. Read about the party items for other Jollibee party package themes like the My Bestfriend Jollibee theme and the Jollitown theme. Also read more info about Jollibee party package.